Here street signs, street lettering and street text become poems. No longer reminding, instructing, identifying and informing – signs announce their individual voices. They cheer and mourn, reflect, object, speculate and mythologise. ‘To the shops’ becomes a slip of the tongue, ‘Diverted Traffic’ has to pause, while ‘Slow Wet Tar’ is a tribute to John Masefield. 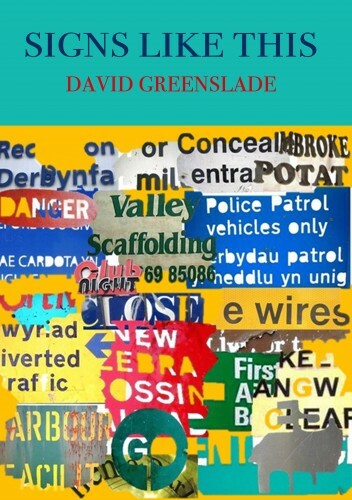 David Greenslade gives wholly other possibilities to the meaning of ‘Fire Hydrant’, ‘Baby Changing Room’, ‘Fire Assembly Point’ and dozens more. Words we see around us, in all their typographical diversity, diverge even further into an urban landscape of lyrical delights.